When choosing a venue for conferences and meetings you need to consider far more than just your budget. It is essential to think about who is attending and how far they will need to travel to get to the event. 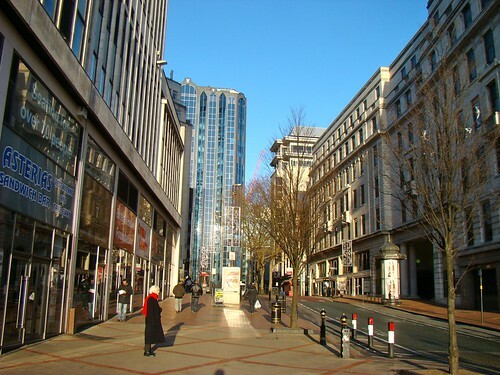 In this article we will explain all of the reasons why Birmingham is the perfect choice. There are plenty of places in Birmingham where you can host meetings and conferences. Located in the centre of the country, Birmingham is an obvious choice when it comes to finding a natural meeting place. Not only is it a great choice for its central location, but it also boasts fantastic transport links. Those travelling by car can come into the city via the M5, M6 and M42, all of which are just a short drive from the city centre. With the M1 and M40 also in easy reach, it is fair to say that Birmingham is pretty much at the heart of the UK’s motorway network. If you have attendees travelling by rail, they will be able to come into Birmingham from a number of train stations including Birmingham International, Birmingham New Street, Moor Street and Snow Hill. Birmingham New Street, Moor Street and Snow Hill are the three main city centre train stations. If some of your attendees are from overseas they can fly into Birmingham International Airport. It is the second busiest airport in the UK for business travel and has an airlink shuttle to Birmingham International railway station. When it comes to choosing a venue for your conference or meeting in Birmingham, you certainly won’t be short of options. The cosmopolitan city boasts a number of world class venues including high profile hotels, dedicated conference centres and an excellent university. With so many different venues to choose from, you are sure to be able to find something that falls within your budget. Although it is important to find a budget friendly venue, you will also need to take your attendees’ needs and requirements into consideration. Some venues may only offer a conference room to use, whereas others may offer you a package deal with room hire and catering services. It is always a good idea to make a list of the things that your venue must have before shopping around for the best deal. It’s always good to choose a location where there are plenty of things for your guests to do out of working hours. If your conference is going to spread over a few days then you will need to choose a city that offers plenty of things for your attendees to do in their spare time. Birmingham is definitely one of the best cities to pick, boasting over a thousand shops, excellent restaurants and a buzzing night life. Whether the people attending your event fancy a quiet meal out in the evening or fancy doing a little sight-seeing during their lunch break, they will certainly be spoilt for choice for things to do in this vibrant city. 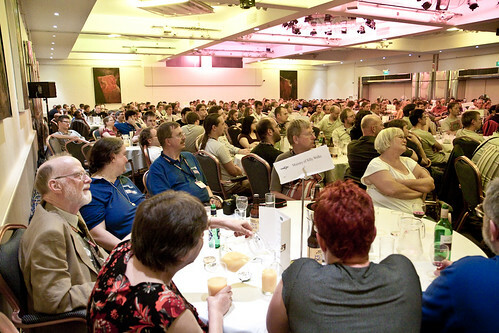 If you are looking for the perfect place to host your meeting or conference then Birmingham, UK is the obvious choice. Not only is it a central place for UK residents to travel to, but it also has one of the biggest airports in the UK for international guests to fly in to. In terms of venues, you will be spoilt for choice, though it is worth looking into the deals that hotels offer in terms of conference room hire, catering and rooms for guests that need to stay overnight. Your attendees will take no persuading in choosing Birmingham as the location, as along with its fantastic venues and transport links, it also happens to be the Capital of Culture! I completely agree with you on Birmingham being the perfect choice for hosting meetings and conferences. We are able to easily wrap up some of the most classy places for there are so many brilliant options are available. Moreover, it also becomes quite easy for us to pick up our attendees without wasting much time. Birmingham is really a nice place in London! I haven’t been there for any conference or meeting! But it was really a good time visiting outstanding places of London!